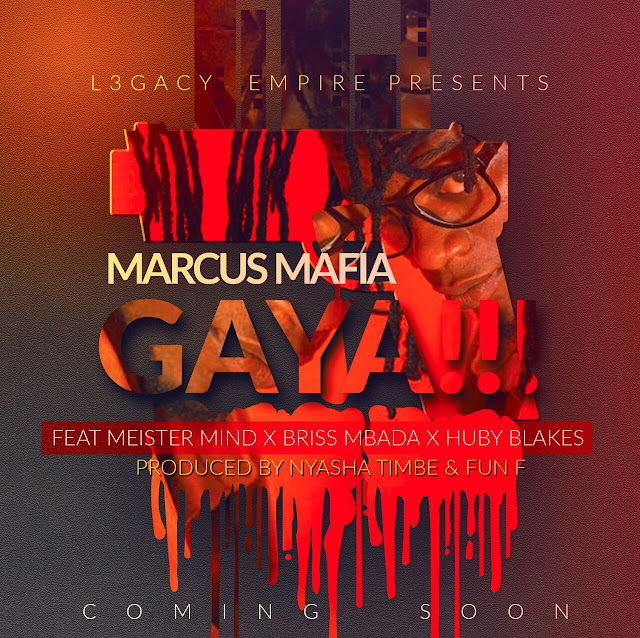 Marcus Mafia best known for his Legacy Empire imprint and his 2016 hit with Kikky Badass,King Aktive and Shingy hatiterere collaborated with an impressive line up for his latest joint titled gaya.This time around he recruited Briss Mbada,Meister and mai vaDhikondo hitmaker Huby Blakes for the Fun F and Nyasha Timbe produced gaya. Gaya is a four verse joint bout rapper dudes thinking of a better future than the one they already have.Its that the bigger the zhet,the bigger the returns on the investment typa track bound to resonate with a nation intent on making the elusive greenback but lacking the means to.All four dudes came through with a mixture of street hustler talk,a sprinkle of punchlines and optimistic projections of a future they wish to have. Marcus Mafia assured us a video in the mould of his hatiterere video is imminent and work on his debut album is already in the formative stage.You can visit his YouTube Chanel to view his previous works from individual video productions to collaborative projects and other litty videos showcasing Zimbabwean music in general.